First the gecko. Now the snail. Anette Hosoi of the Massachusetts Institute of Technology, has already imitated the adhesive/ lubricating propulsive method of land snails to drive a robotic device. For some of us, nothing is more disgusting than watching a gecko climb a wall and go on to the ceiling and stay there without succumbing to effects of gravity. For a few others, it is inspirational. Using a silicon substrate, he [Liming Dai, a professor of materials engineering at the University of Dayton] and his group grew arrays of vertically aligned carbon nanotubes topped with an unaligned layer of nanotubes, like rows of trees with branching tops. The adhesive force of these nanotube arrays is about 100 newtons per square centimeter–enough for a four-by-four-millimeter square of the material to hold up a 1,480-gram textbook. And its adhesive properties were the same when tested on very different surfaces, including glass plates, polymer films, and rough sandpaper. So in future some of us are going to be paranoid about robots climbing walls too. Electricity from coal? yes. Wind? yes. Sun? yes. Atoms? yes. Applying modern engineering design tools to one of the basic units of life, they [researchers at Yale University and the National Institute of Standards and Technology] argue that artificial cells could be built that not only replicate the electrical behavior of electric eel cells but in fact improve on them. 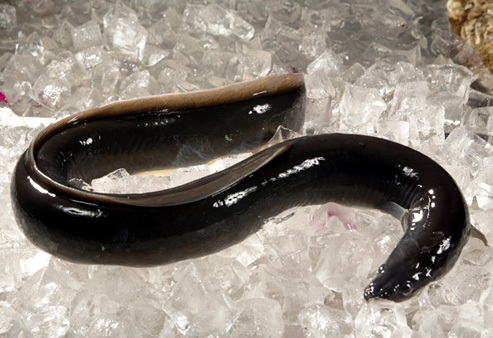 Artificial versions of the eel’s electricity generating cells could be developed as a power source for medical implants and other tiny devices, they say. LaVan and partner Jian Xu developed a complex numerical model to represent the conversion of ion concentrations to electrical impulses and tested it against previously published data on electrocytes and nerve cells to verify its accuracy. Then they considered how to optimize the system to maximize power output by changing the overall mix of channel types.